Are you in the market for solitaire ring? Looking to have a big rock with a medium budget? If that is the case, I will recommend you to consider a fancy shape as a centre diamond. The fancy shape are not as expansive as the round brilliant or princess cut and will look slightly bigger for the same carat weight. 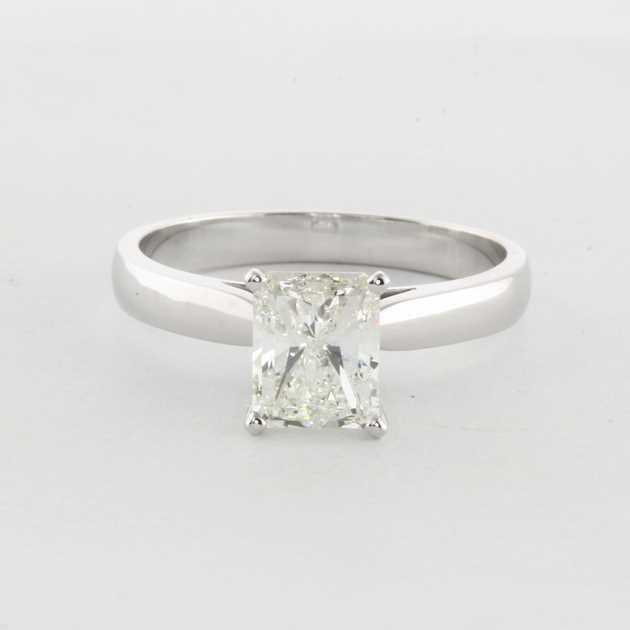 The following solitaire ring is set with a stunning 1.31 carat radiant diamond. The ring in made in 14K white gold. The diamond is a very nice diamond - therefore very white in colour and very clean to the naked eye. Which Shape are consider to be Fancy shapes?